I got these last night from completing the quest. Even got the epic upgrade. 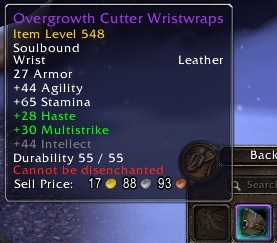 However, I am unable to DE these at my enchanter's study in my garrison. Perhaps they are dis-enchantable for someone with the profession, but they definitely aren't via garrison DE'ing.